So you want to start a table tennis club. What do you need to know? 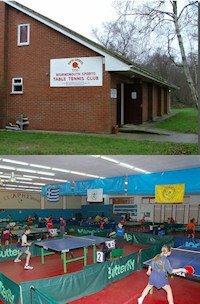 Well, it depends on what type of table tennis club you want to start and what facilities you have available. 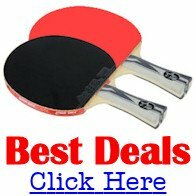 If you're in a developing country your choices may be very limited and you may be unable to provide anything other than a basic table tennis club. But if you're in a developed country you'll probably have access to a far greater range of options. So let's take a look at some of the items you'll need to consider. Before starting any new table tennis club, you'll first need to establish if there are enough potential members. Unless you have enough players it'll be a waste of time starting a new club. You'll also need to ensure that there is at least one person who is willing to organise everything. For smaller clubs, it's best if one or two people take control and organise everything, but for larger clubs, additional people will be required to run a club successfully. You'll also need to check whether there are any other clubs in the local area that are already meeting the needs of potential members. If another club is already in the area, are they more likely to attract your potential members, or can you do it better? So you'll need to know the answers to these points before you start. How will the club be financed? When you know that you have enough people who want to play regularly, and enough people who are willing to organise it, you'll need to decide how the club will be financed. If you're a privately run and privately financed club, you'll be able to do whatever you want, but if you're relying on funding partners you'll probably have additional obligations such as accounting for any funds or benefits that you receive. What type and size of club? You'll also need to decide what type and size of club you want to have. Will it be a recreational / social club that just offers a chance to play and have fun? Will it be a club that focuses on competing and talent development? Or will it be a multi-table venue with fully professional services? Or perhaps something in between? How many tables do you want to have? How many players do you want to accommodate? Every choice you make will have an impact on the structure of your club. Of course there are advantages and disadvantages with all types and sizes of clubs. Depending on your choice of the type and size of club you want to start, you'll then need to decide how many people you'll need to run the club. Smaller clubs often have just one person who organises everything, or they rely on a small number of people to help. However, larger clubs generally need more people to run it and clubs which have more people involved usually need to form committees and write constitutions and rules for their club. This creates a lot of administrative work. Who will find a suitable venue? Who will provide all the necessary equipment? How often will the club be open? Will an organiser need to be present whenever the club is open? Who will ensure that the venue and equipment is secure and not liable to damage or theft? What additional facilities will need to be provided - such as changing facilities, toilet facilities, refreshment facilities, seating etc? Who will do all the administrative tasks? For small clubs, it's best if one or two people take control and organise everything. But as soon as a club begins to expand, additional people will be required to run the club successfully. When you've decided on the type and size of club, you'll need to find a suitable venue. Depending on where you are in the world, the options available to you may be very different. If you're in a developing country you may only have very basic facilities and be unable to provide anything other than a basic table tennis club. But if you're in a developed country you'll probably have access to a far greater range of options. However, if there are enough people who want to play regularly, just get started with whatever you have available and try to expand at a later date. Don't let a lack of good facilities stop you from playing. Just adapt to what's available. So let's take a look at the most basic elements you'll need for any table tennis club. The venue can be privately owned by the club/organiser or it can be rented or hired from someone else. The best type of club venue will be one which is privately owned by the club/organiser because that will give you the greatest control. Renting or hiring a venue from someone else means that you may have to sign a contract for the use of the room (which may or may not include a guarantee of when you can use it), and/or you may find that it is suddenly unavailable at short notice due to the owner using it for something else or not maintaining it. After you've established your venue, you'll need to acquire all the equipment you'll need such as tables, rackets, balls, surrounds etc and recruit enough players / members. You'll also need a name for your club. It's worth checking that no-one else is using the same name as this can prevent problems arising later. Depending on the size of the club, you'll also need to do lots of other tasks too.